On May 19th, 1902, an explosion in the coal mine at Fraterville in Tennessee’s Coal Creek Valley claimed the lives of 216 men and boys. Only 184 of them were ever identified. It is the worst mining disaster in Tennessee history and one of the top five worst in the nation’s history. Before that fateful day, the Fraterville Mine had been operating without incident for over 30 years. Its owner, former Union Major Eldad Cicero Camp, had been a U.S. District Attorney for Eastern Tennessee and was widely respected as someone who treated his employees fairly and ran as safe a shop as possible considering the inherent dangers of the job. Major Camp was one of the only industrialists who refused to utilize the state’s appalling convict leasing system, a post-Civil War pretext for Southern states to re-enslave African-Americans using the 13th Amendment which outlawed involuntary servitude except as punishment for crime. When the war was over, black men became targets of law enforcement, arrested for petty/fictional crimes so that they could be leased to private industry for a small fee and the cost of their upkeep. The latter was insignificant because the leased convicts were often starved to death when they weren’t beaten or worked to death, and the former was far cheaper than free workers. Instead, Camp hired expert miners, most of them Welsh immigrants, and paid them in cash per tonnage, not company scrip, and never scammed them with credit schemes and company stores. Fraterville miners were members of the United Mine Workers of America within years of its creation in 1890. Excited by the opportunity to make real money and own their own homes, the miners often encouraged their family members to join them. Camp’s son George had learned the mining trade by going down the shafts himself, so he knew the miners and the work intimately. He had been promoted to supervisor by the time of the explosion but was very much hands-on. Had he not returned home to get a coat because it started raining, he would have been in the mine when the explosion occurred. Whatever the source of the gas, the miners’ oil wick lamps — open flames hooked into their hats — ignited it causing a massive explosion. That in turn ignited the coal dust, spreading the fire throughout the mine. George Camp organized a rescue party. They tried to go down the main shaft to find any survivors, but they only made it 200 feet when the afterdamp, a toxic mixture of gases produced by the explosion, forced them to turn back. It wasn’t until 4:00 that the rescue party was able to jury-rig a venting system and reach the main site of the explosion. Brattices [(wood partitions erected in mines to help ventilate the shafts)] had been destroyed, and along the main entry the force of the explosion was terrific, [sic] timbers and cogs placed to hold a squeeze were blown out, mine cars, wheels, and doors were shattered, and bodies were dismembered. In other parts of the mine no heat or violence was shown, and suffocation had brought death to those whose bodies were found there. 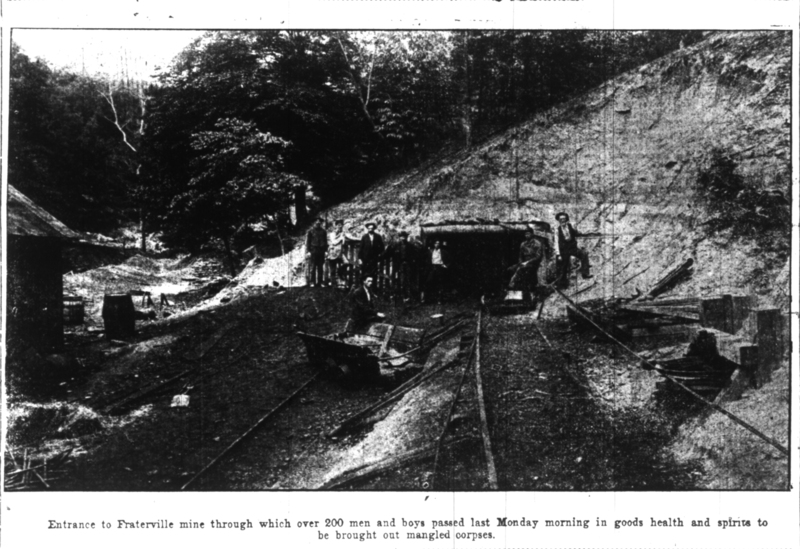 Twenty-six miners survived the blast and immediate choking aftermath. They barricaded themselves in a side passage where the afterdamp and lack of oxygen slowly suffocated them to death. Some of them lived for at least seven hours. We know this because Jacob Vowell, Powell Harmon, John Hendren, Harry Beech, Scott Chapman, James Brooks, R.S. Brooks, George Hutson, Frank Sharp, and James Elliott all left heart-wrenching notes behind for their loved ones, some of which recorded the time. The letters were found on their bodies when the rescuers finally reached them. 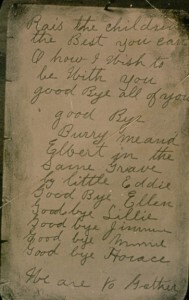 Jacob L. Vowell, husband of Sarah Ellen and father of seven children (one of whom, Eddie, had died in early childhood), penciled several notes as time passed. 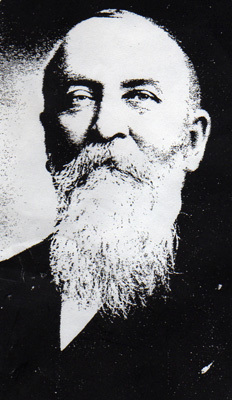 With him dying slowly was his 14-year-old son Harvey Elbert. We are shut up in the head of the entry with of little air and the bad air is closing in on us fast and it is now about 12 o’clock. Dear Ellen, I have to leave you in bad condition. But dear wife, set your trust in the Lord to help you raise my little children. Ellen take care of my little darling Lily. Ellen, little Elbert said he had trusted in the Lord. Chas. Wood said he was safe if he never lives to see the outside again, he would meet his mother in heaven. If we never live to get out we are not hurt but only perished for air. There is but a few of us here and I don’t know where the other men is. Elbert said for you all to meet him in heaven, All the children meet with us both. Ellen, darling Good Bye for us both. Elbert said the lord had saved him. Do the best you can with the children. We are all praying for air to support us but it is getting so bad without any air. Horace, Elbert said for you to wear his shoes and clothing. It is now 1/2 past 1. Powell Harmon’s watch is now in Andy Woods hand. Ellen, I want you to live right and come to heaven. Rais the children the best you can. O how I wish to be with you. Good Bye to all of you Good Bye. 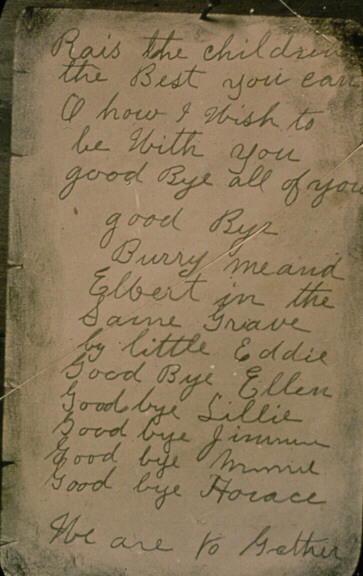 Burry me and Elbert in the same grave by little Eddy. Ellen lost not just her husband and son, but also two brothers in the disaster. The entire community was devastated. Only three adult men were left alive in the town. Hundreds of women were widowed and between 800 and 1,000 children were orphaned. All of the recovered bodies were laid out next to the railroad for the families to claim. 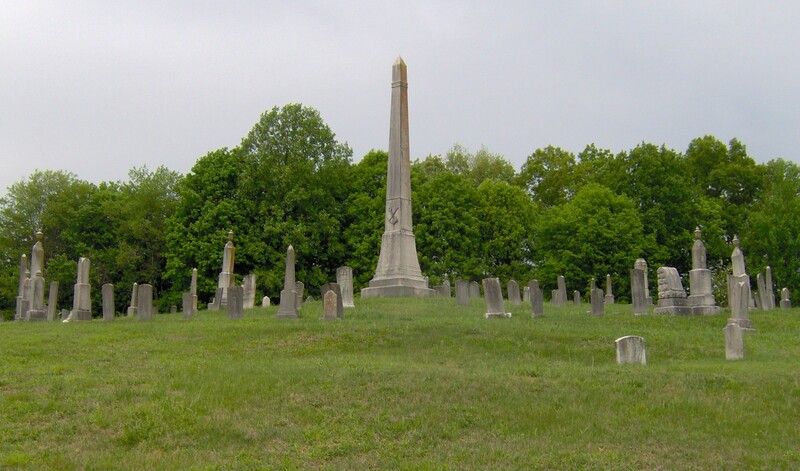 Eighty-nine of the miners were buried in the Fraterville Miners’ Circle in Leach Cemetery. The obelisk in the center records all 184 names of the identified miners. Some of the other victims were buried at Longfield Cemetery. The bodies of 30 itinerant miners remained unclaimed and were buried next to the railroad spur line, marked by fieldstones or not at all. That land would eventually become the backyard of Owen Bailey, a retired Briceville miner who is now 96 years old. When the non-profit Coal Creek Watershed Foundation was established in 2000, Bailey told them about the miners buried in his backyard. On Friday morning, archaeologists from the University of Tennessee, accompanied by students from Briceville Elementary, used ground-penetrating radar to confirm his story. The foundation has erected a historic marker next to the itinerant miners’ graveyard. “Early Welch [sic] miners in the area had many superstitions, and spirits of the itinerant miners are said to still be calling for family members to identify them,” the marker reads. This entry was posted on Saturday, May 19th, 2012 at 11:55 PM	and is filed under Modern(ish). You can follow any responses to this entry through the RSS 2.0 feed. You can skip to the end and leave a response. Pinging is currently not allowed. A not as sad Welsh miner story. The little town of Mineral Ridge Ohio was a coal mining town, the Welsh came to work the mines. They noticed that the rock was layered similar to how it was back home. The black hard rock over top of the coal that was considered waste, was a form of iron ore in the old country. 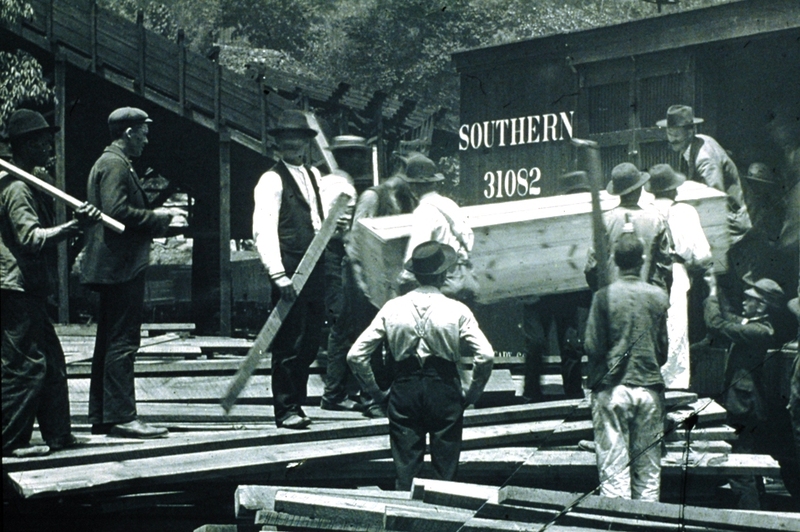 An iron industry was born that is going strong today in the area. That’s fascinating. 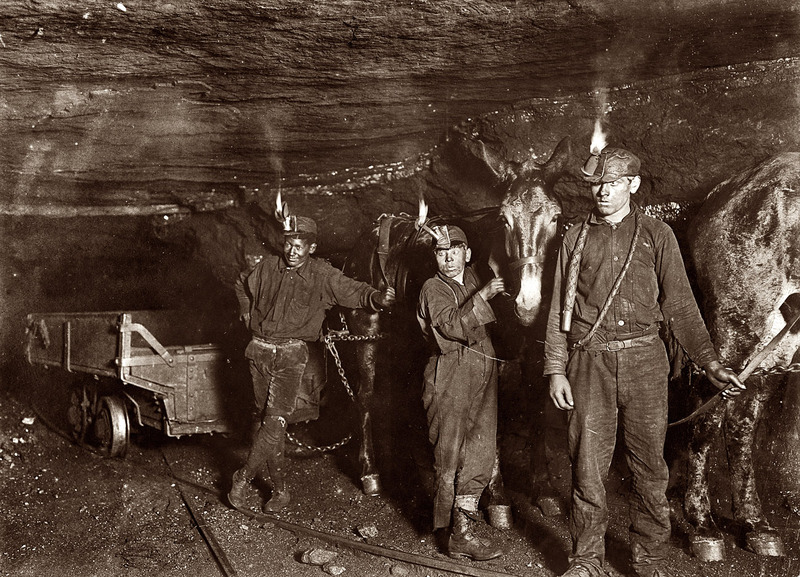 These miners were basically geologists, probably more knowledgeable than a lot of actual geologists, in fact, due to years, even generations, of hands-on experience. I always think of the Edwardian era as a period of modernity, technological progress and peace. Yet terrible catastrophes occurred then. I think the saddest part was not individual loss but the devastation of a community. Ellen lost her husband, son and two brothers in the disaster. The entire community was devastated. Only three adult men were left alive in the town. What future would the widows and orphans have had? I know there were charities that helped out the widows and orphans, and I would hope that the union had some support systems in place, but I doubt they had anything like sufficient resources to sustain the survivors of a disaster of this magnitude. I do not know my great grandfather’s first name and maybe some one can help me. he was killed in the Fraterville mine explosion in 1902. My great grandfather, on my mother’s and grandmother’s side of the family, last name was Massengill. I do not know his first name. He was killed in about 1902 in a mine explosion in Briceville, Tennessee which is close to Lake City, Tennessee, in Anderson County, Tennessee. Lake City was known at the time as Coal Creek, Tennessee. I believe he may be buried in Lake City, Tennessee. 93. MASSENGILL, Nicholas William “Nicklas”, was born 5 October 1869 in TN. He was the son of David Samuel “Dave” MASSENGILL and Marintha “Malinda” WALLACE. He was the brother of Gideon H. “Gid” MASSENGILL (see #5), and the brother-in-law of William Levi MCLIN (#85) and John M. WHITE (#149). He married Nancy Alice AMOS before 1897. They had 6 children: Charley C., born 1887; William F., born July 1891; Nancy Ethel, born July 1893; Maudia May, born July 1895; Malinda Sadie “Linda/Lennie”, born 3 March 1897, and Harvey Lee, born 1901, all in TN. Nancy Alice may have been the Nannie AMOS, age 9, daughter of Presley and Mary AMOS, in the 1880 census for Eatons Cross Roads, Loudon County, TN. Alice died October 1903. There was a Nicholas Massengill, Jr killed in the 1902 Fraterville Mine explosion. He is buried in the Leach Cemetery at the Clear Branch Baptist Church in Lake City, now Roky Top, TN. I hope that this helps. Alice died in Oct., 1903 and a baby son died in Jan. of 1904.